"At WeWork, we have always taken security very seriously. However, as we grow and begin serving an increasing number of enterprise members, our trust, safety and security mission becomes more complex," said Shiva Rajaraman, WeWork CTO, in a statement. "We are fully committed to meeting and exceeding the expectations of all our members. We already have a strong security foundation that we have built over the past eight years. Now, under Cory’s leadership, we will be enhancing our overall security maturity and building a world-class security team that positions us at the forefront of security innovation." 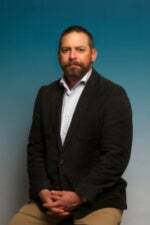 Cory has over 17 years of experience protecting information and building security organizations across government, non-profit, technology and law enforcement. His distinguished career includes time at the The White House, Planned Parenthood, Dropbox, Google, and the U.S. Secret Service where he oversaw everything from cyber to physical security. Formerly a member of the advisory board for this real-time payment platform provider van Someren is expected to ensure nanopay’s products and services are secure in their design, implementation and operation. He will also work with the product and marketing teams of nanopay to carry the message of the company’s security to a wide variety of audiences including customers, users, partners, investors and regulators. Van Someren joins the team with more than 25 years of experience in technology leadership roles. Most recently, he worked with the Linux Foundation, a non-profit dedicated to supporting major open source software projects, as the CTO and executive director of the Core Infrastructure Initiative, a program to systematically improve the security of open source projects in general and with a particular focus on those foundational projects on which the modern IT world is built. Prior to the Linux Foundation, van Someren served as the founder and CTO of the world's leading cryptographic hardware security module company, nCipher Plc, until its acquisition by Thales eSecurity in 2008; the CTO of mobile security company Good Technology Inc., which was acquired by Blackberry in 2015; the chief security architect of the global networking company Juniper Network; and the founder and CTO of embedded networking company ANT Plc. Moore is expected to expand upon Atrion’s service offerings with concepts like vCISO the virtual chief information security officer (vCISO). He brings over 25 years of experience in designing, leading, and maintaining the implementation and assurance frameworks for organizational information to this full-service information security and technology consulting firm. He has 15 years of military service with the U.S. Marine Corps intelligence community, concluding his military service as regimental intelligence chief. In the private sector, Moore ascended to security leadership roles within KPMG and the Royal Bank of Scotland – Citizens Bank, leading the regulatory and data protection programs. Prior to joining Atrion, Richard Moore served as CISO at New York Life Insurance Company and managing director at Alvarez & Marsal. Reinhold will be responsible for advancing enterprise-level security strategy at Everbridge, which provides event management and enterprise safety software applications. He will also work closely with customers and partners to optimize their organizational approach to managing and responding to critical events. This newly created role will report to CEO Jaime Ellertson. Previously, Reinhold has served in executive leadership roles in security and incident management for some of the world’s largest brands. As CSO at Fannie Mae, he was responsible for designing and managing the company’s enterprise resilience strategy. He established a robust enterprise response model that enabled senior leaders to respond to security and business disruptions in an efficient and consistent manner. Prior to Fannie Mae, Reinhold served as vice president of global investigations at Walmart, and before his commercial roles in security, Reinhold served as a special agent with the Federal Bureau of Investigation for 22 years. By taking on the DPO role along with his CISO duties, Flechter will help AppsFlyer, a provider of mobile attribution and marketing analytics, meet its commitment to high standards of data security and privacy. He will lead an expanded data security team that will enforce data protection laws and practices for ongoing diligent compliance with the requirements of European Union (EU) General Data Protection Regulation (GDPR), and relevant data protection laws and regulations across AppsFlyer’s solutions and teams. Flechter has more than 15 years of experience in information security and data privacy. Previously, he served as information security team lead at LivePerson, where he kept the organization aligned with the most up-to-date and relevant industry standards, as well as spearheaded the security operations team. Wilson will oversee all aspects of security operations throughout the entire enterprise, ensuring a safe and secure working environment for the more than 30,000 Rock Family team members in Detroit, Cleveland and across the country. He will also lead the relationship and partnership development with local law enforcement, allowing a real-time contribution of data and services in the communities where the companies are located. "We took a very deliberate approach to finding the right leader for security operations, conducting a nationwide search," said Jay Farner, Quicken Loans CEO, in a press release. "No matter who we spoke with, or where we looked, Charles' name and skill set always stood out, and he was already leading the security apparatus at Greektown Casino-Hotel, which will make his transition seamless. 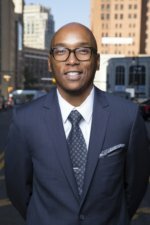 His strong background and experience makes him the perfect match for this dynamic and important position, and the fact that he is a native Detroiter is another tremendous plus." In addition to most recently serving as the vice president of support services at Greektown Casino-Hotel for the last four years, Wilson served 20 years in the Detroit Police Department (DPD). There, he was a direct liaison to the business community, fostering a positive working relationship between DPD and local businesses. "I am inspired by the new challenge before me and look forward to working alongside all of the talented men and women of the security team and the entire Rock Family of Companies," Wilson said in a press release. "I have dedicated my career to Detroit, and it is an honor and privilege to be part of an organization so actively involved in the community. The Rock Family of Companies has hired thousands of Detroiters, breathed new life into historic buildings and committed its significant resources to both the rebirth of downtown and Detroit's neighborhoods. I am proud to be leading the organization's focus on safety as a key pillar of its overall mission." Castellvi will lead the newly created Corporate Security Group, led by Betina Castellví as the Chief Security Officer at Popular, a bank that serves Puerto Rico, the Caribbean, and Latin America. This new group will consolidate all corporate efforts related to cyber security and enterprise fraud. Castellví will be a member of the senior management team and will report directly to Ignacio Alvarez, president and CEO of Popular. “Security is a top priority for Popular. We continue to invest considerable resources to ensure that we protect our customers’ information and our corporation in this rapidly-changing environment. We are confident that the creation of this group will further increase awareness of this important matter and facilitate collaboration across the organization,” said Alvarez in a press release. Castellví’s career at Popular, which spans over 20 years, includes leadership roles in several areas, such as financial, operational and market risk, and most recently, the position of general auditor, which she assumed in 2012. Castellví, a Certified Public Accountant and lawyer, earned a Bachelor's Degree in accounting from the Wharton School of the University of Pennsylvania and a law degree from the University of Puerto Rico. Flinders will establish and oversee a cybersecurity program for the university that covers communications, applications and infrastructure. Flinders is a seasoned executive leader with 28 years in the IT industry. He most recently worked as a managing director of BYU OIT’s Business Support organization. Dr. Small will work with social media security provider ZeroFOX’s enterprise customer portfolio to develop, execute and maintain strategies that address the security threats intertwined with social media platforms. As one of the country’s foremost experts on intellectual property (IP), Dr. Small will continue to invest, build upon and protect ZeroFOX’s proprietary platform and continued growth. At ZeroFOX, Dr. Small will drive ZeroFOX’s security vision both internally and externally for customers. He will work directly with customers at the CXO level to deliver the company's services and technology as well as infusing the ZeroFOX Platform with his expertise. Finally, Dr. Small will help oversee all ZeroFOX’s IP and internal security operations. Prior to being named CSO, Dr. Small served on ZeroFOX’s board of advisors. 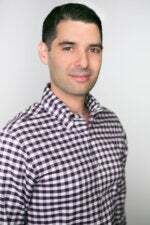 He was also the CEO and founder of Fast Orientation, an enterprise security software startup. 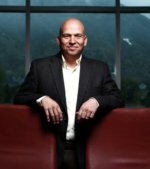 Additionally, after earning his doctorate in computer science from Johns Hopkins University, he led an academic security research lab and launched two security startups.